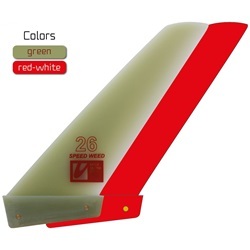 A new profile and a wider outline with more rake characterize the Speed-02. It was developed for the absolute speed freak sailing on flat waters. Depending on the fin area it is the weapon for speeds beyond 40 and 50 knots. 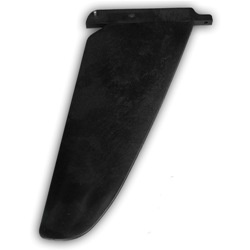 Very fast and reliable. 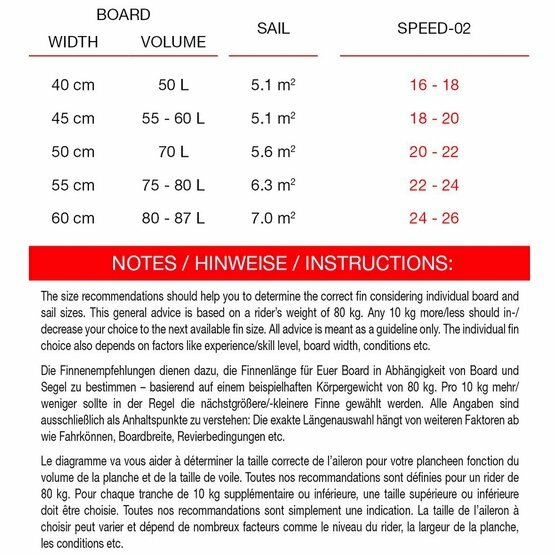 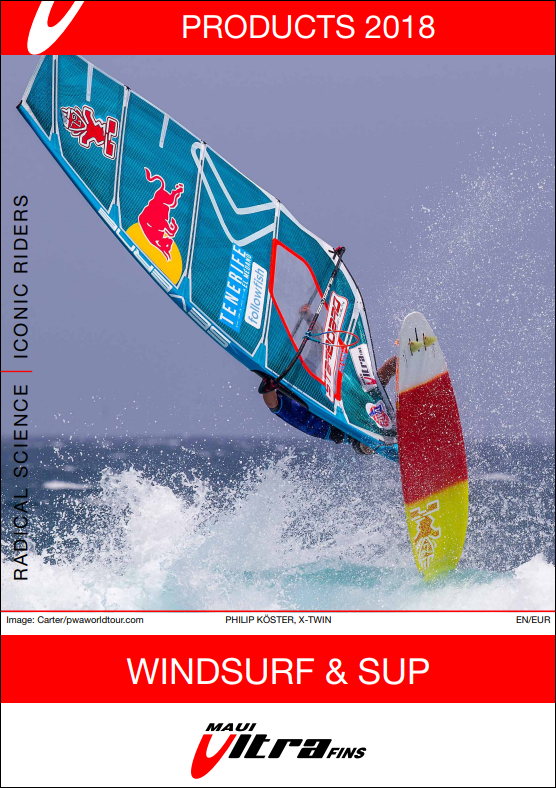 The size recommendations should help you to determine the correct fin considering individual board and sail sizes. This general advice is based on a rider's weight of 80 kg. 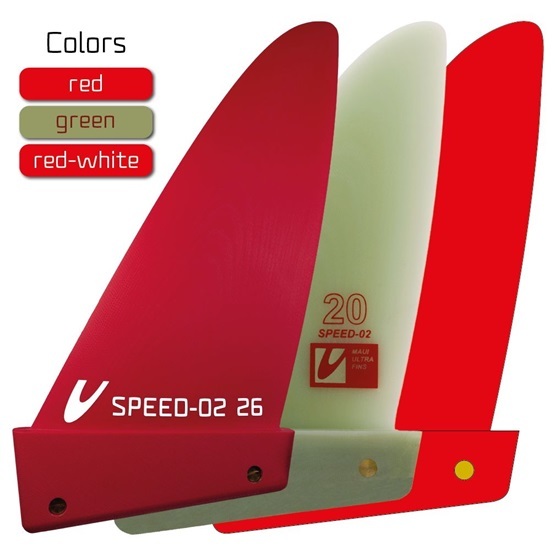 Any 10 kg more/less should in-/decrease your choice to nhe next available fin size. All advice is meant as guideline only. 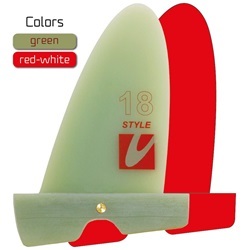 The individual fin choice also depends on factors like experience/skill level, board width, conditions etc.